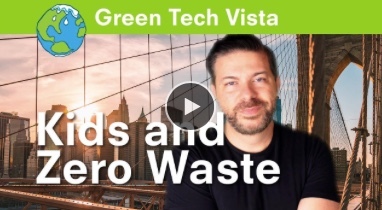 Want a primer on zero waste and understanding your waste stream? Watch these two videos below with your kids. Both are great introductions to the topic. We’d like to thank Planet Bonehead for these fun lessons in sustainability, which are distributed to schools across the country. What if we worked on ways to reduce our garbage from the beginning of the waste stream? What if we strived to produce zero waste? What would that look like, and how would we even start? Understanding the waste stream within a home, school, or commercial building is a critical first step in how to achieve zero waste. Watch/listen to this podcast interview with Anna Dengler, Great Forest’s V.P, of business operations. Many of us use stuff at home and at school, and then throw away whatever’s left that we don’t need. You probably already know that you can recycle some things like paper and cardboard, curtain plastics and metal. Your community might already have a recycling program in place. But what you may not know is that there’s one thing just about everyone throws away that (a) probably doesn’t need to be thrown away, and (b) ruins all the other garbage so that we can’t recycle it even if we want to. Can you guess what it is? It’s food. Watch now.